Did you shake in your boots when you made your first house offer? No wonder – a home is often the single biggest investment people make in their lifetimes. People spend time researching how much home they can afford and carefully choose homes that make good investments. After the purchase, many people thoughtfully research how to take care of (and sometimes improve) their investment. But when it’s time to sell the house, too often, homeowners list their home on the market and cross their fingers that they’ll get a good offer. Others spend money on landscaping, painting, and staging. Most people miss out on the happy middle ground: doing cheap and easy things that help their house sell faster and for more money. Here’s how to sell your home fast the proper way. It’s commonly thought that the summer months are the best time to list a home. After all, kids are home from school, and if a buyer is going to buy a home in a new school district, this is a good time to do it. However, a 2011 study from Realtor.com showed that homes listed in November and December were more likely to sell, sell faster, and sell at a higher price. The key here is timing, which might not be a luxury available to you. If you need to relocate, don’t wait to list your home – it can only sell once it’s listed, after all. Use a realtor who is knowledgeable with your neighborhood. This is especially true in some markets, like the one I’m in right now. I recently had some out-of-area agents tell me that my home was worth 15% less than what I paid two years ago. However, the comps in my area area are unusual. Homes near the park (like mine) are always more valuable than similar-sized homes just a few blocks away. Out-of-area agents don’t know this. On the map, the park is a park – in person, it’s a community hub that people pay slightly more to be near. Note that being too greedy with your price can also cost you money in the long run. For example, if you’re relocating and price your home a little too high, it’s going to languish on the market while you pay two mortgages. If you had priced it a little lower, it would have sold more quickly, saving you money in the long run. When it came time to sell our last home, he mentioned the photography method to our realtor, who was intrigued. She then hired a photographer with HDR experience to take photos of our home. Our home sold relatively quickly – in a matter of weeks. Turns out that the HDR images, while cool, might not have been the reason. However, the fact that they were professional images probably played a role. Studies have shown that listings with professional photos get 61% more views and sell for more money. Even if your realtor is a decent photographer, it won’t help much if they don’t take several photos. A Trulia study showed that listings with six or more photos get twice as many views. In today’s digital, fast-paced society, buyers do more research online before seeing the house. One or two photos is often a signal to buyers that the house is in poor shape (even if that’s not the case). Otherwise, why wouldn’t there be more photos? It’s all the rage these days to share homes for sale on Facebook. I’m not aware of any studies that show this increases the likelihood of a quick sale, but the exposure can’t hurt. Put your listing on your social media channels and encourage your local friends to share it. Even more basic than that, make sure your home is available on all the major real estate sites. If your home is listed on the MLS (Multiple Listing Service) through a realtor, it will be available on Realtor.com or Homes.com. In many areas, it will also be available on Zillow or Trulia – but not always. MLS listings in some areas will not automatically post to Zillow or Trulia, two major house hunting websites. However, your agent can create an account and manually list them; make sure they do! If your agent has to go this route, know that the listing will expire after 30 days, so be sure to check back every month until your house sells. Selling your home is a numbers game. If you have enough showings, someone will eventually make an offer. The showings are important – people almost never buy homes sight unseen. If you want your house to sell quickly, you need to make it available for buyers. It’s hard to evacuate from your home on short notice and to stay gone for hours, but your flexibility will pay off over someone who has severe time limitations. I’m here to vouch: I’ve turned buyers away because it wasn’t a good time. They never rescheduled. This means you need to live in a constant state of preparedness. Your house always needs to be clean. Laundry can’t hang out on the dining room table. Trash needs to be taken out daily, whether it’s full or not. The yard can’t get overgrown. If you have a little bit of disposable income and time constraints, it might be worth hiring a weekly mowing and/or housecleaning service to take some of the pressure off. That way, when you get a call for a showing in an hour, you aren’t left scrambling. The buyers need to be able to see themselves in the space. That means removing family photos, removing evidence of pets when possible, and staging the area to be clean and open. If you have a lot of clutter, get rid of it or rent a storage locker. Some buyers are afraid of dogs, are allergic to certain pets, or have an aversion to living in a home where pets have lived, so keeping your pet from being noticeable can be helpful. We have a dog, so I’ll leave work to remove him from the house when possible. I put his dog bed and dog bowls in our garage so buyers won’t immediately stress about a pet in the house (even though the information is available to their realtor through the MLS showing information). Another option is looking into pet daycare or having a neighbor help out when a showing is scheduled. As for the clutter, remember you’re selling your house. Are you moving cross-country? Are you down-sizing? In either case, it makes no sense to hang on to the clutter. You’re going to pay a pretty penny to move it or store it after the sale, so you might as well start donating and trashing things you don’t need. Hold a yard sale and earn money to put toward sprucing up your new home. Keeping clutter tucked in closets isn’t an answer – it makes the home seem as if it lacks proper storage space. A recent study suggested that home staging does make the home look wonderful – but doesn’t help it sell more quickly or for more money. You can do some free research online and learn tips to do the staging yourself, using items you have or can borrow. Don’t bother paying for a service. You’ve heard it said that buyers like neutral colors. No, they like their colors. Unless you have really funky walls, I’m going to go out on a limb and suggest that you skip painting everything beige. In fact, I had one homebuyer whose only feedback was that she hated our bland (beige) walls, yet other buyers liked them. I’ve heard similar stories from friends who got both good and bad feedback on their paint colors, whether or not the colors were neutral. Put your time and money somewhere else. Once again, home upgrades are a thing of taste. You might like the white cabinets you put in, but some buyers might hate them. More importantly, these upgrades don’t return a dollar for dollar on your investment. Kitchen and bath upgrades, for example, have a rate of return around 60%. Therefore, if you spend $10,000 doing a bathroom update, you can expect to net an extra $6,000 in the sell of your home. You can sell your home for a higher price, but not necessarily enough to cover the investment. Save your money to upgrade your new home, instead. 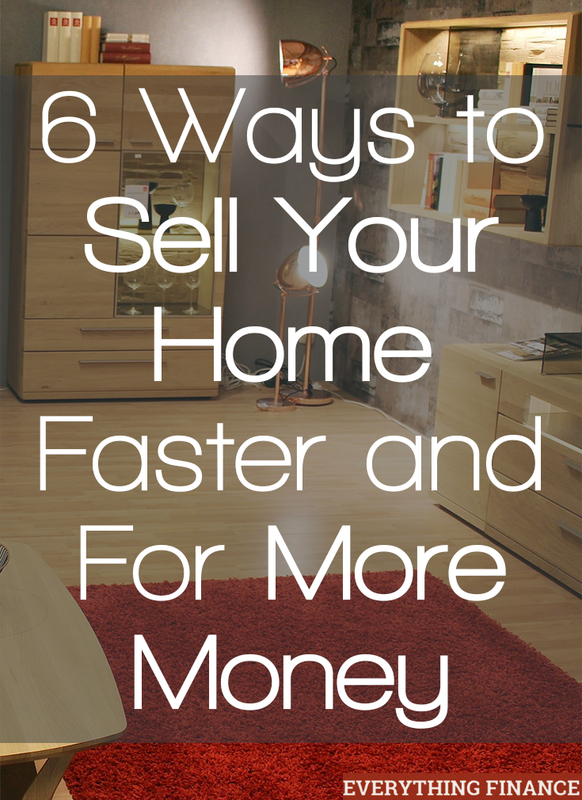 What things have you done to help a home sell faster and for more money? Did any of these tips surprise you?